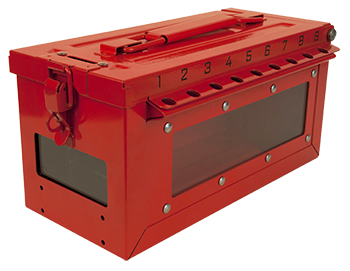 Heavy-duty group lock boxes with key window that offer visual verification of secured keys during a group lockout. 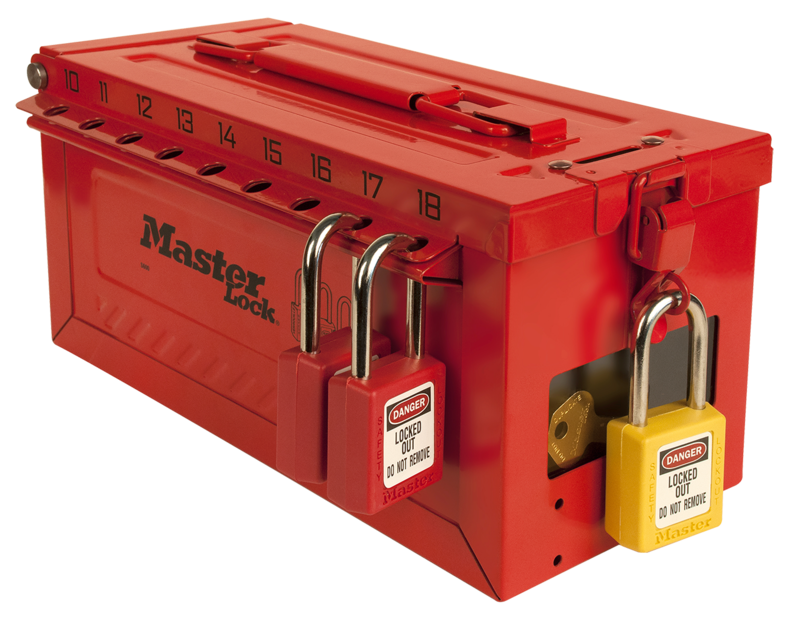 The S600 Group Lock Boxes from Master Lock are made of 430-grade stainless steel to withstand the toughest environments. 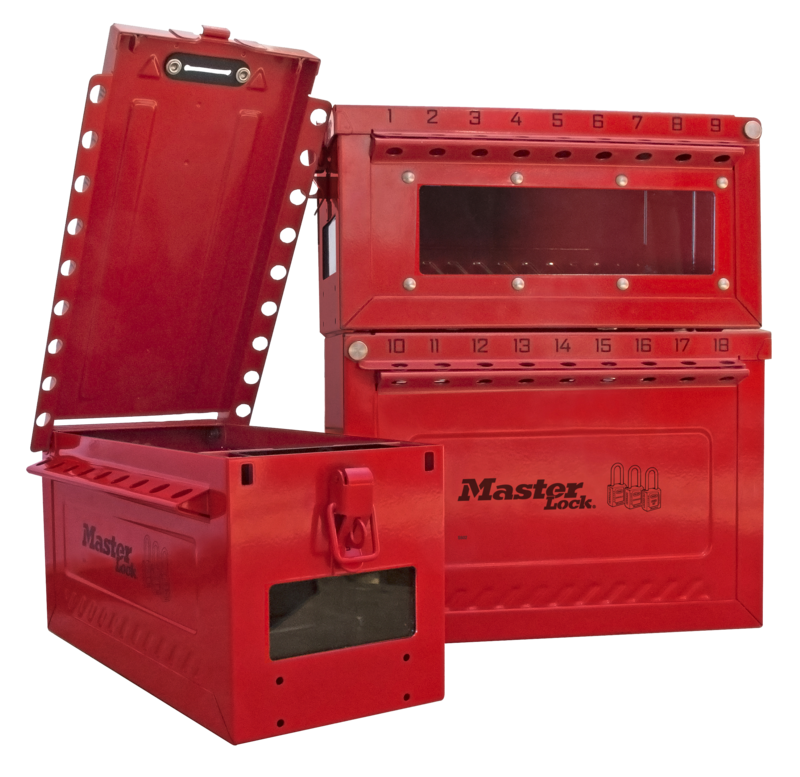 The rugged construction offers enhanced design features, making these lock boxes stronger and easier to use. 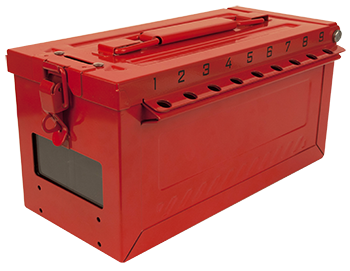 All three models - the S600, S601 and S602 - include a clear, impact-resistant window, allowing participants to see that keys are secured inside the box during a group lockout. 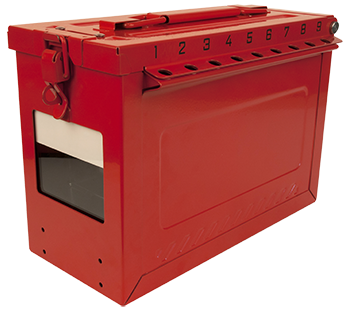 The stackable design facilitates storage and simplifies transporting multiple boxes.